The vaporized form of cannabis produced higher THC blood concentrations and greater pharmacodynamic effects than equal doses of smoked cannabis. Inhaling a 25 mg dose of vaporized cannabis with 10 mg of Δ9-tetrahydrocannabinol (THC) produced pronounced drug effects and significant impairments of psychomotor and cognitive abilities in healthy adults who do not frequently use cannabis; furthermore, the vaporized form produced higher THC blood concentrations and greater pharmacodynamic effects than equal doses of smoked cannabis, according to study results published in JAMA Network Open. In this double-blind, within-participant, crossover study, researchers examined the effects of vaporized vs smoked cannabis on healthy, adult, infrequent users of cannabis (N=17; mean age 27.3 years; 9 men and 8 women; >30 days since last use) using controlled methods of administration at the Behavioral Pharmacology Research Unit of Johns Hopkins University School of Medicine in Baltimore, between June 2016 and January 2017. Six 8.5-hour experimental sessions were conducted on an outpatient basis for all participants, with 1 week between sessions. Sessions differed only by the method of inhalation and THC dose (smoked vs vaporized and 0 mg, 10 mg, or 25 mg) and were clustered by inhalation method (3 vaporized then 3 smoked, or vice versa). This order was counterbalanced across all participants, and THC dose order was randomized within each cluster. Primary outcomes were change from baseline for subjective cannabis effects, psychomotor and cognitive performance, blood concentrations of THC, and vital signs. The mean days since last cannabis use was 398 days for the 17 healthy adults in the sample. Mean peak changes for cannabis effect were significantly greater at the 10 mg and 25 mg doses compared with placebo for both methods of inhalation (P <.025). At the 10 mg dose, mean ratings of discriminative drug effects on a 100-point visual analog scale were 45.7 for smoked and 69.5 for vaporized, with modest cognitive functioning impairments. At the 25 mg dose, mean (SD) ratings were 66.4 for smoked and 77.5 for vaporized, with more pronounced cognitive and psychomotor impairments and an increased rate of adverse effects. One participant vomited after 25 mg smoked inhalation, 1 vomited after 25 mg vaporized inhalation, and another participant hallucinated after 25 mg vaporized inhalation. 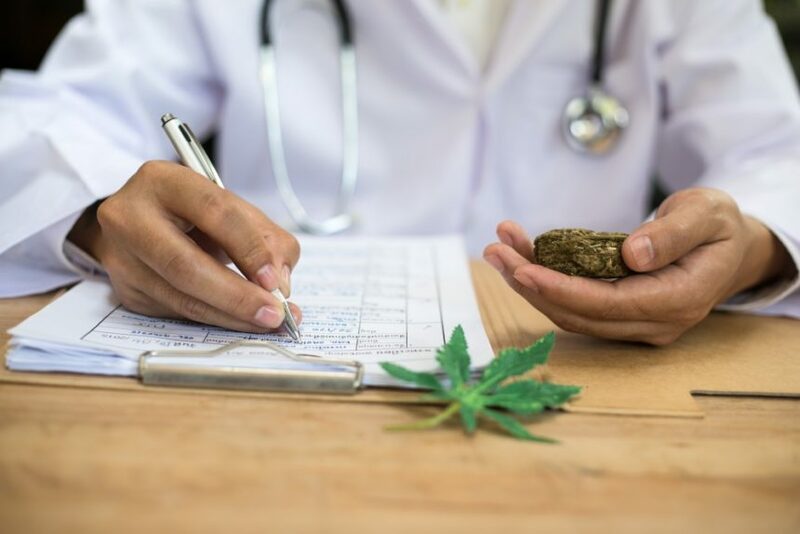 Stronger cannabis effects were noted for most pharmacodynamic outcomes with vaporized cannabis vs smoked cannabis at equal doses, and vaporized doses resulted in higher peak THC concentrations in the blood (25 mg dose: vaporized, 14.4 ng/mL vs smoked, 10.2 ng/mL). Spindle TR, Cone EJ, Schlienz NJ, et al. Acute effects of smoked and vaporized cannabis in healthy adults who infrequently use cannabis: a crossover trial. JAMA Netw Open. 2018;1(7):e184841.